Wine Library’s elegant design highlights and adds value to your bottles of wine. A modular and customisable wall of light and stylishness that keeps your wine at the ideal temperature and makes it irresistible. 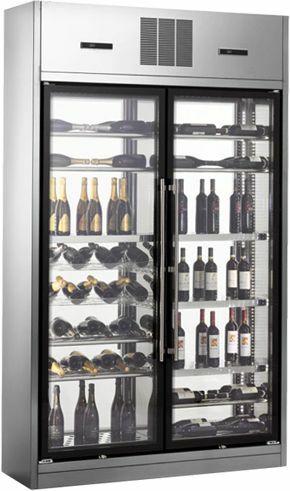 Brera Wine Display is the perfect solution for all types of premises; an extremely adaptable display unit, perfect to keep your wine at the right temperature with an elegant design that brings value to wine showrooms, cellars, restaurants and homes. 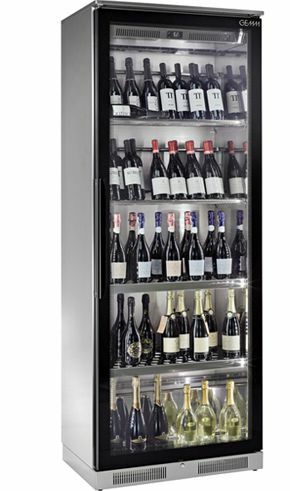 GEMM offers to authentic wine connoisseurs a range of display units designed to guarantee that bottles are kept at the perfect temperature and at the same time have the visibility they deserve. Brera represents a new way of interpreting design: what for many is simply a fridge for wines, it becomes a feature that complements the rest of the furniture in the room and adds a fine, modern touch to any space, whether it is a restaurant, a cellar or a private home. Wine Library and Wine Display are modular and available with different storage capacity, to meet all different needs and requirements. They add value to your finest bottles by framing them in a steel cabinet, with all-glass doors and an interior LED lighting system: an elegant, transparent and sparkling showcase that will be impossible to ignore. These aesthetic characteristics, together with the feature that gives you the ability to set a double temperature to store different types of wines, are what make the Brera range products unique.